It’s the end of the month already, can you believe it? Today is the last day to print any remaining coupons. Tomorrow there will be a whole new batch of coupons to print as well. 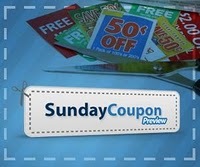 Head over to Coupons.com and Red Plum and get your coupons. It’s free and easy to start saving! Coupons Feb 28, 2011 in CouponsDotCom, RedPlum · Expired! RedPlum has just released new coupons. Get your coupons before they’re gone! Red Plum is offering a coupon for $5 off $25 purchase. This coupon is good for today only so grab it now! RiteAid Sep 13, 2010 in RedPlum · Expired! Red Plum just released new coupons. We’re also headed to the end of the month so make sure you print all the coupons you think you’ll need.